Low level wall hung unit with two shelves and sliding doors. Part of the Jesse Online system. 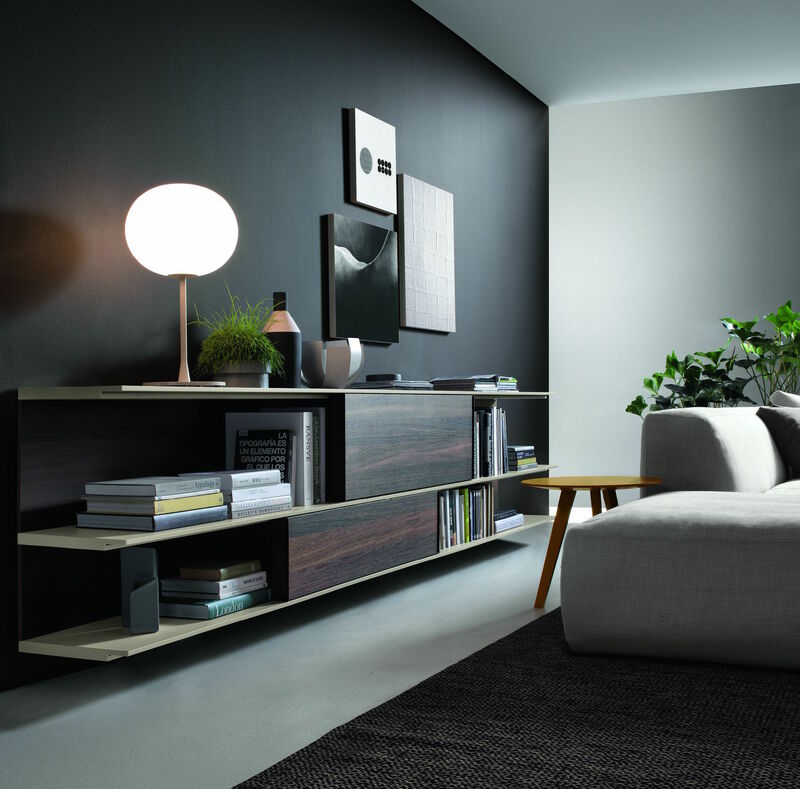 The Online shelving system from Jesse is a wall mounted modular system of shelves, cupboards and drawers with an overall minimal design. 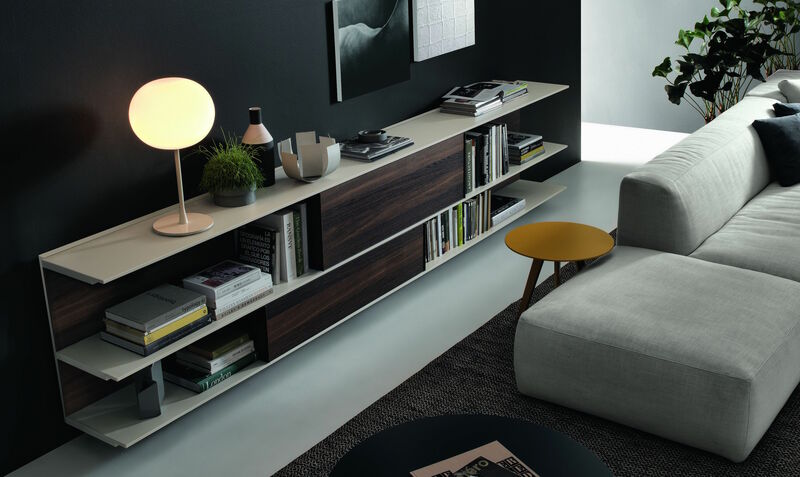 The lack of vertical supports, sleek shelving and extra details such as hidden sliding mechanism for doors and discreet cable ducts to keep the endless wires of modern life tucked away combine with the high quality lacquer and natural wood finishes, to make the Online system wonderfully functional, simple to customise, great on the eye and very easy to install. 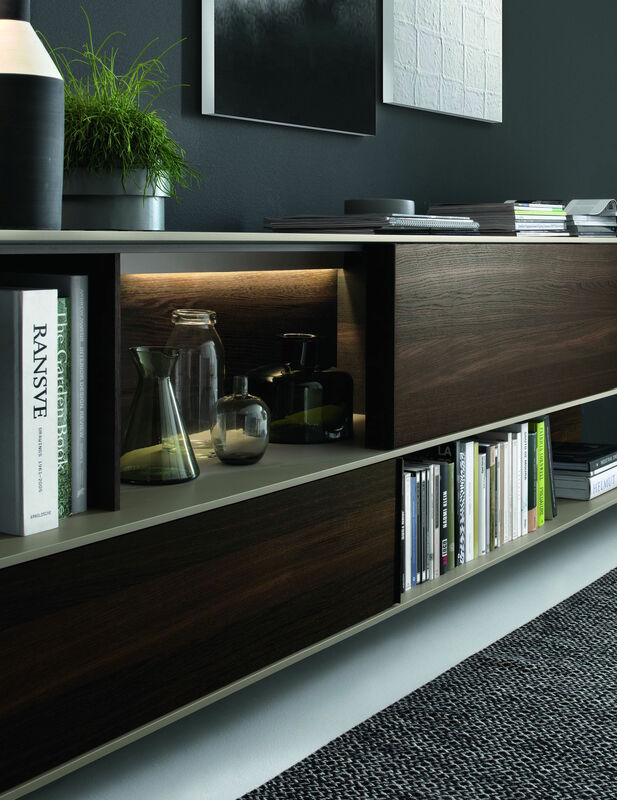 Listed above we have the standard OL112 combination, with shelves and partitions finished in corda matt lacquer with back panels and sliding doors in a therm oak finish. For further details on lacquer colours (matt & gloss returnable samples available or see download below), custom combinations and space planning please contact us by email at purves@purves.co.uk or call 020 3397 3723.